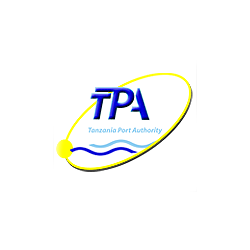 Tighten security measures executed by the Tanzania Ports Authority (TPA) auxiliary police have achieved a reduction of crime incidents from 21 in 2012 to 7 in 2013, a decrease of three times. According to the Minister for Transport, Dr Harrison Mwakyembe, improved security is attracting new investors to the country and is increasing revenues collected by the government. As a proof of his words he cited a recent visit of the Turkish businessmen delegation to the port in the beginning of June and their contentment with improved service delivery and tightened security measures. “I commend you for the job well done”, said the Minister to the TPA auxiliary policemen during an event on the 3rd of June in Dar es Salaam aimed at rewarding 18 of them for the outstanding service. The sharp decline in number of crime incidents comes at a time of a rapid expansion of Dar es Salaam port: the port cargo handling have been growing steadily at an average rate of 19% per year and amounted to 4.35 million tonnes in 2012/13 and bulk liquid cargo of 6.0 mln tonnes, with an average for all Tanzanian ports being at 13.4% per year and the total cargo capacity standing at 11.68 million tonnes in 2012/13. The vehicles imports numbers through the Dar es Salaam port have gone up by 25% per year, and the total revenue of the Port have increased by 14.3% to TZS 371.7 in 2012/13.